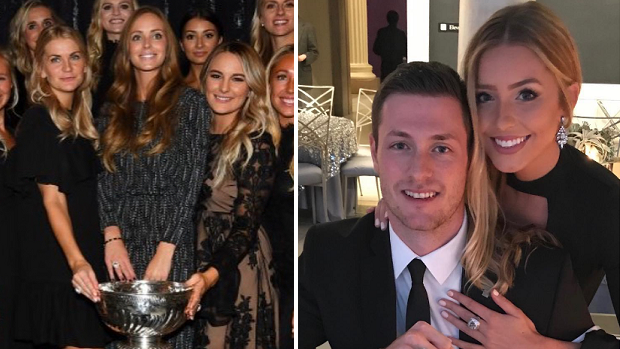 Last night, the Pittsburgh Penguins had a ring ceremony for their back-to-back Stanley Cup wins. They received some massive rings that would weigh down anyone’s hand if worn for more than just a ceremony, especially if you have two. 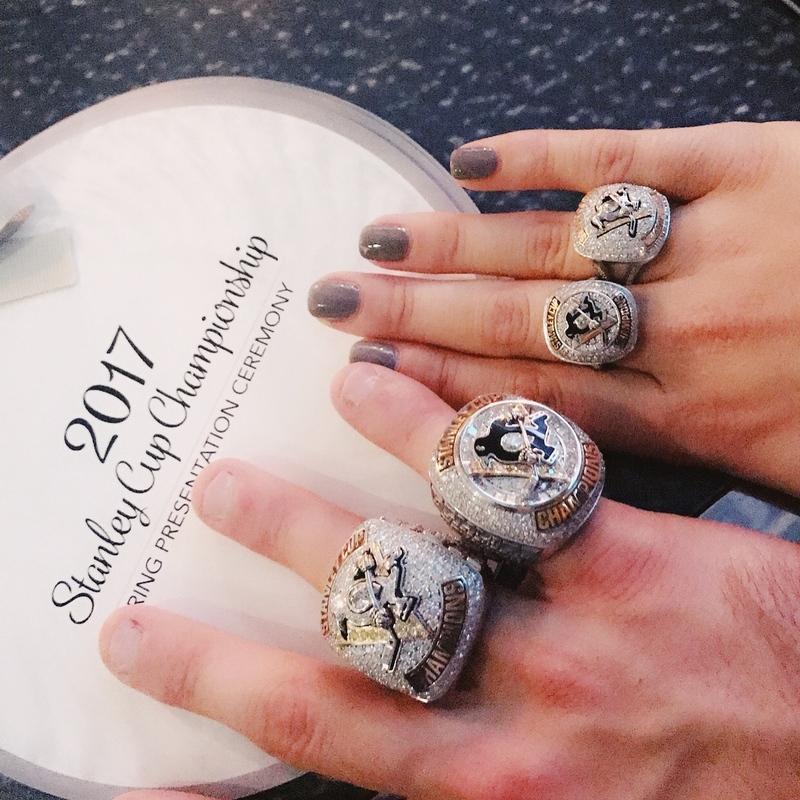 Well, the Penguins players weren’t the only ones to receive back-to-back rings, as the staff, executives and coaching staff also received theirs. One group that many people may not been aware of receiving rings are the wives and significant others of all the players. Partners of professional athletes might not be in the spotlight as much (Unless you’re Gisele Bundchen), but they are an integral part of many of these players’ lives. Who knows what could have changed without them. This can be a common thing in the NBA wear players can request rings for their wives, but isn't as common in the NHL. So, for the second year in a row, they received some kind of memento as well (Many opt to receive them as pendants instead of rings). For a better look at what the pendants look like, you can see a close up of last year’s version from Evgeni Malkin’s wife, Anna Kasterova.